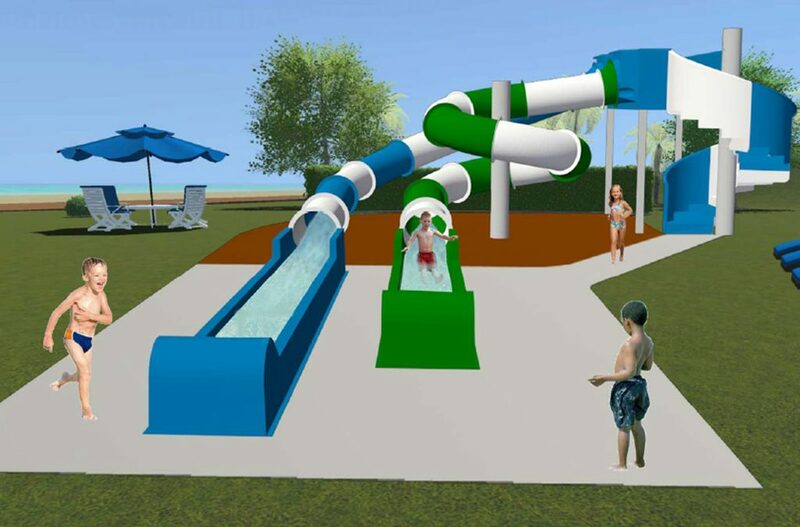 Waterslide – Coming soon to Victor Harbor! It’s coming… the most exciting addition to our park for those hot, summery days! Twist and turn your way down our two new waterslide towers that will have a permanent home next to our swimming pool. Slides are 3 meters high and guaranteed to be loved by all ages. The Waterslides will be located where our playground is currently, and the playground will be relocated to the rear of the park near the Pump Track. Another exciting addition for 2019! Keep your eyes on our Facebook page for notification of opening dates as soon as we know more!